Parks & Recreation Vehicle Maintenance Facility - PWArchitects, Inc. In early 2012, PWArchitects, Inc. and Trabue, Hansen & Hinshaw, Inc. completed a building inspection by of the City of Columbia’s Fleet Operations maintenance facility located adjacent to the Parks and Recreation Department found a severe termite infestation. Further inspections determined the over 70-year-old building also had structural issues that forced the closure of the building and the decision to build a new, state of the art fleet maintenance building. Since the City was also beginning the process to add Compressed Natural Gas (CNG) vehicles to the fleet, the City decided to also incorporate the necessary National Fire Protection Association (NFPA) codes to allow for maintenance of CNG vehicles. Occupied and opened for business on May 23, 2014, the new fleet maintenance building’s square footage is approximately the same size as the old building. However, where the old building could only handle three vehicles at one time for repair, the new building can have six to eight vehicles inside at one time depending on the size of the vehicles. The old building could not handle any oversized vehicles. The new building can easily handle up to four oversize vehicles simultaneously. The new building utilizes existing property behind the old building. The landscaping plan incorporated the ability to treat stormwater runoff with the addition of a rain garden. The new 7,948 square foot building is fully CNG compliant. It is equipped with methane sensors and automatic air handlers that can mitigate a CNG leak. The building is heated by in-floor heating that ensures no open combustion source while providing comfortable warmth for mechanics. 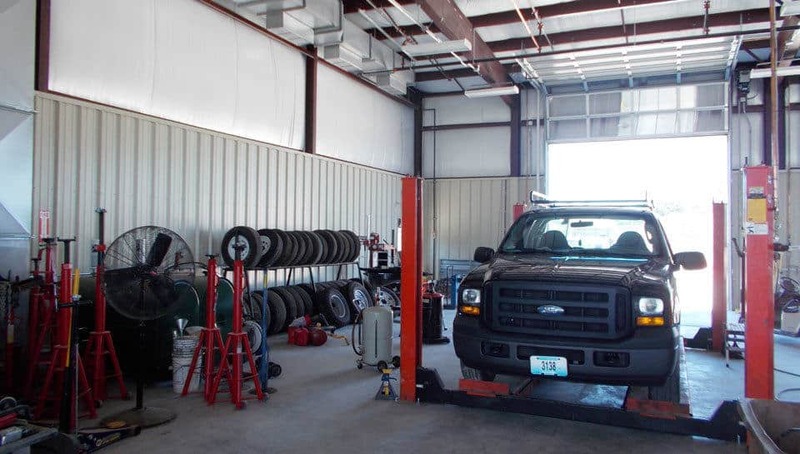 The maintenance bays offer drive through convenience equipped with translucent garage doors. These translucent doors offer enhanced natural lighting in the maintenance bays while providing full-weather protection. As a result, artificial lighting is rarely used during daylight hours. A gantry crane running the length of the building provides up to one ton lifting capacity across all maintenance bays. 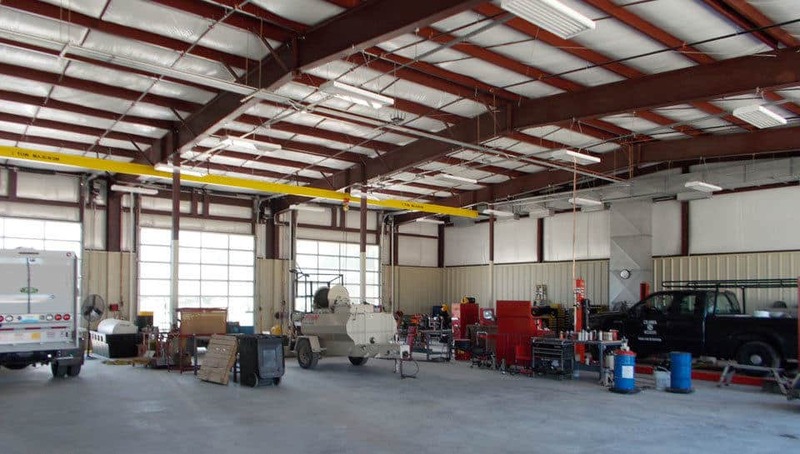 This gantry crane extends over an elevated mezzanine above the parts room for additional parts and material storage without increasing the building’s square footprint.